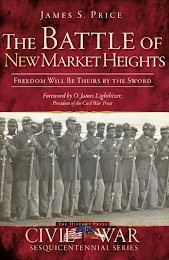 While many people are familiar with the Battle of Yellow Tavern and the resultant mortal wounding of famed Confederate cavalry chieftain J.E.B. 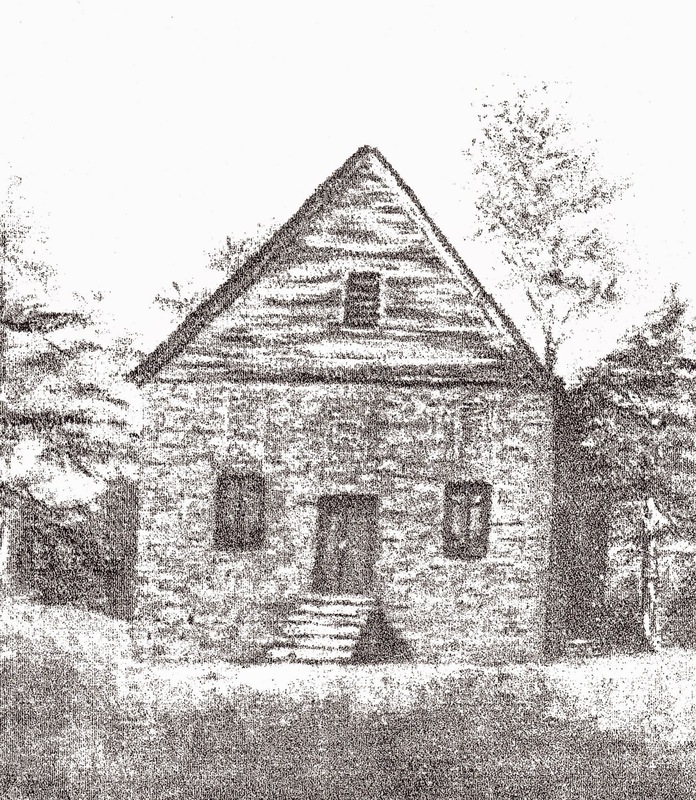 Stuart, the hotly contested fighting that centered around Goodall’s Tavern and Ground Squirrel Church in Hanover County on the same day has received scant attention. This rear guard action pitted Brig. Gen. James B. Gordon’s Tarheel Brigade against some of the finest horse soldiers in the Army of the Potomac. James Gordon was an excellent cavalry officer. 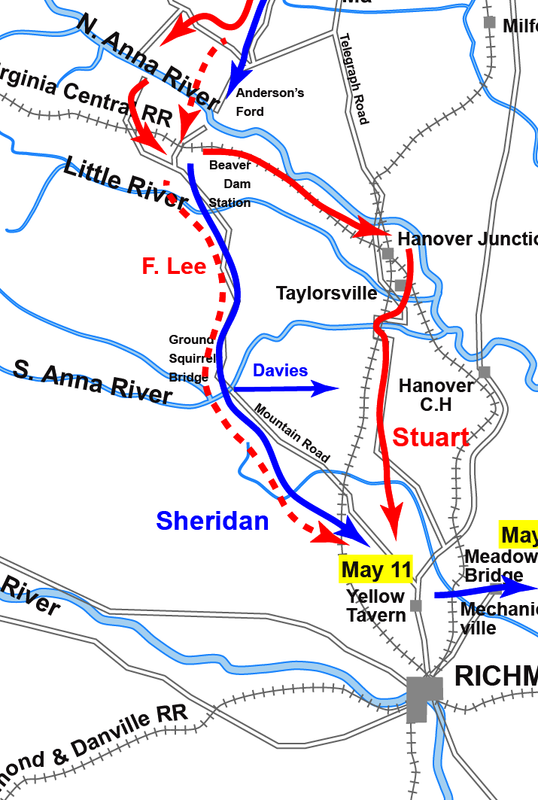 As Phil Sheridan’s troopers rode steadily towards Richmond on May 10th, they reached the Ground Squirrel Bridge on the South Anna River, 18 miles below Beaver Dam Station, around 4:00 p.m. After crossing his entire force, Sheridan ordered the bridge burned and posted the 1st Maine Cavalry along the south bank of the river while the rest of the troopers cooked supper and bedded down for the night. Meanwhile Stuart, who had been in hot pursuit with around 4,500 men since May 9th, decided to roll the dice and split his force – Gordon’s brigade was tasked with following Sheridan and harassing his rear guard while two of Fitzhugh Lee’s brigades under Brig. Gen. Williams C. Wickham and Brig. Gen. Lunsford L. Lomax would hurry east to Hanover Junction on the Richmond, Fredericksburg, and Potomac Railroad and then descend the Telegraph Road to interdict the main Federal body along Mountain Road. 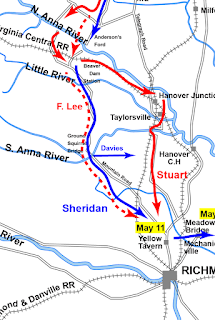 Shortly after sunrise on the 11th, Sheridan assembled his men and moved out, leaving Gen. David. McM. Gregg to picket the South Anna. Gregg was confident that he was untouchable because the bridge had been burned and he thought the river to be unfordable – thus when, Gordon’s troopers arrived on the scene he was unperturbed. Gordon, however, knew that the safety of the Confederate capital could be at stake and had no time to worry about finding a safe spot to cross the river. The general simply picked a spot, yelled “Forward!” and plunged into the water, not knowing the depth. His men unhesitatingly followed. As soon as the Carolinians crossed the South Anna they ran into Gregg’s pickets. The 1st Maine Cavalry – purported to be the best cavalry unit in the entire army – was under orders to hold the crossing along with the 10th New York Cavalry while the rest of the column moved on. After a few volleys from Gordon’s troopers, the Yankees broke for the rear, where they stampeded members of the 10th New York. N.D. Preston of that unit said “it was one of those unaccountable panics which sometimes seize bodies of men without cause.” One trooper who was desperate to get to safety grabbed the tail of a passing horse and allowed himself to be dragged to safety. The Federals fell back to nearby Goodall’s Tavern, which was quickly turned into a formidable defensive position. The tavern and all of the outbuildings had sharpshooters in the windows ready to pick off Gordon’s men should they continue to advance. The position appeared daunting, but Gordon decided to test the defenses and put the 1st North Carolina Cavalry in line and sent them up the Mountain Road, with the 5th North Carolina in support. After an initial attempt to take the position, one Tarheel confessed, “We…could not dislodge them. 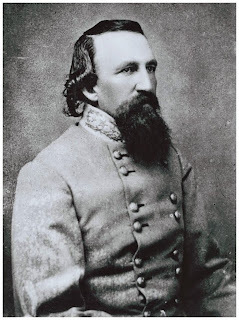 The fight between the dismounted sharp-shooters lasted several hours.” Gordon quickly changed tactics, sending a mounted squadron of the 5th NC under Col. William H. Cheek around the right to flank the Federals, while he personally led the 1st NC in a frontal assault. 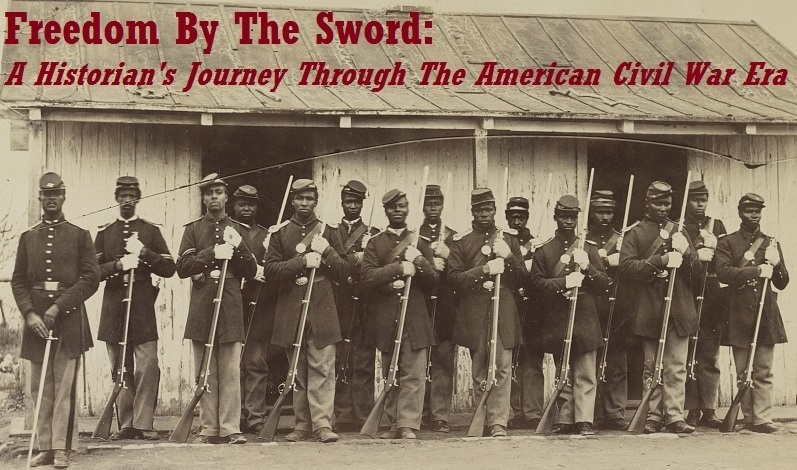 The combat was brutal –“hand-to hand, saber to saber, in deadly close conflict,” said a trooper in the 5th NC – and the Federals were again pushed out of their position. For a second time that day, the Federals fell back to a new position at Ground Squirrel Church, where they now had the luxury of artillery support. One side or the other gives way quickly as did Sheridan's splendid soldiers before these two North Carolina regiments in those glorious charges and counter-charges at Ground Squirrel Church. We kept up the fight on their rear, pressing them hard continuously. Gordon now threw everything he had into the fight, committing his reserves. These fresh troopers charged onto the field and drove away a mounted force of Yankee troopers who proved to be the last of the Federals, who were now heading south to catch up with the main body. Indeed, the fact that so many hard-fighting cavaliers were absent from the Yellow Tavern battlefield contributed to the shattering defeat suffered there. And as we all know, Stuart would fall mortally wounded, dying in Richmond on May 12th. That same day Gen. Gordon was also mortally wounded at fighting along the Brook Pike outside of Richmond. Warfare is a fascinating subject. Despite the dubious morality of using violence to achieve personal or political aims. It remains that conflict has been used to do just that throughout recorded history. Your article is very well done, a good read.